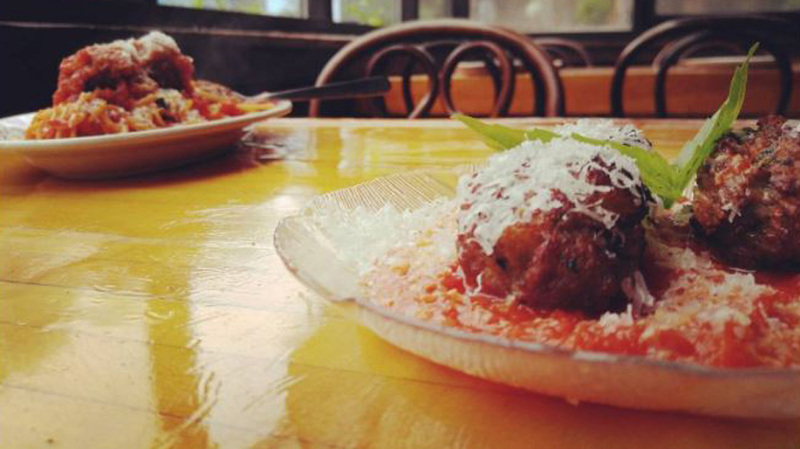 Spaghetti and meatballs are on the menu at the newly refurbished Pine Hill Arms. Photo via the restaurant's Instagram. The Pine Hill Arms hotel and restaurant has new owners and will soon be serving dinner again. Shuttered since March, when longtime proprietors Bob and Valerie Konefal retired after 44 years, the historic 19th-century inn is now in the hands of chef Daniel Hellmayer and his father, Josef Srp. The pair have been refurbishing the hotel rooms, which came online in May, and expect to launch the restaurant by the end of July. Hellmayer, who now lives at the Pine Hill Arms, worked in NYC and the greater metro area after graduating from the Culinary Institute of America in 2004. Most recently, he served as executive chef at Talde in Jersey City, garnering nice notice from The New York Times in 2015. Coming soon to Pine Hill. Photo via the restaurant’s Instagram feed. The menu will be small and change often, Hellmayer said. On the beverage side, he has installed a new draft system for beer, which will showcase lighter options such as pilsners and lagers. A full bar permit is pending, according to the New York State Liquor Authority. Hellmayer had originally considered opening a restaurant at Phoenicia Plaza, further east on Route 28, but was drawn to the hamlet’s Main Street charm, he said. The space he was considering at the commercial strip is now under construction as the new home for Bite Me Bakery, which is relocating from Shokan and scheduled to open Aug. 1. Find the Pine Hill Arms at 288 Main St. in Pine Hill. Opening date and hours are TBD; tune into the inn’s Facebook page and Instagram feed for updates. It is good that the Pine Hill Arms is reopening. This is an important development for the prosperity of the whole hamlet. We are looking forward to trying out the menu. I hope they have some vegetarian options.